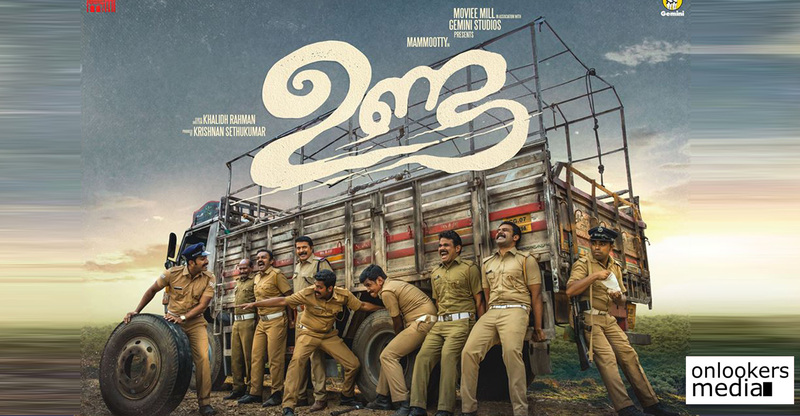 The first look poster of Mammootty’s upcoming film ‘Unda’ has just been released today on social medias. A refreshing change from the usual superstar films, where the focus is just on the star, this first look poster features not just the lead actor. 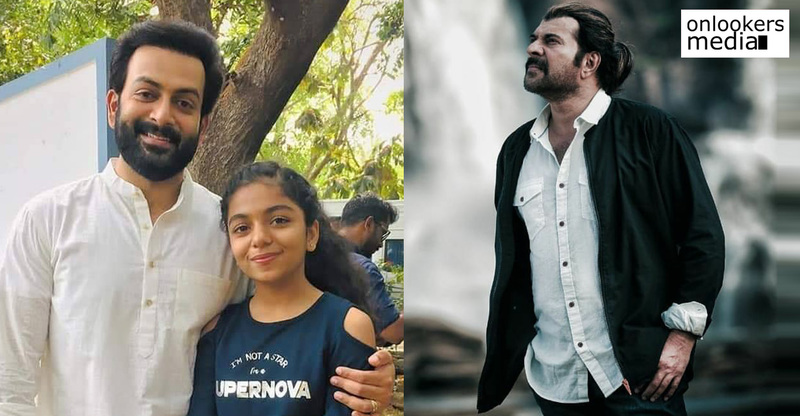 A bunch of supporting actors are also seen in the poster along with Mammootty. ‘Unda’ directed by Khalidh Rahman of ‘Anuraga Karikkin Vellam’ fame is touted to be an comedy action thriller. Mammootty plays the role of a police inspector in the movie. The story penned by Khalidh revolves around a set of events that occur when an unit of policemen from Kerala reach the Naxalite prone areas in North India on election duty. Harshad has written the screenplay. 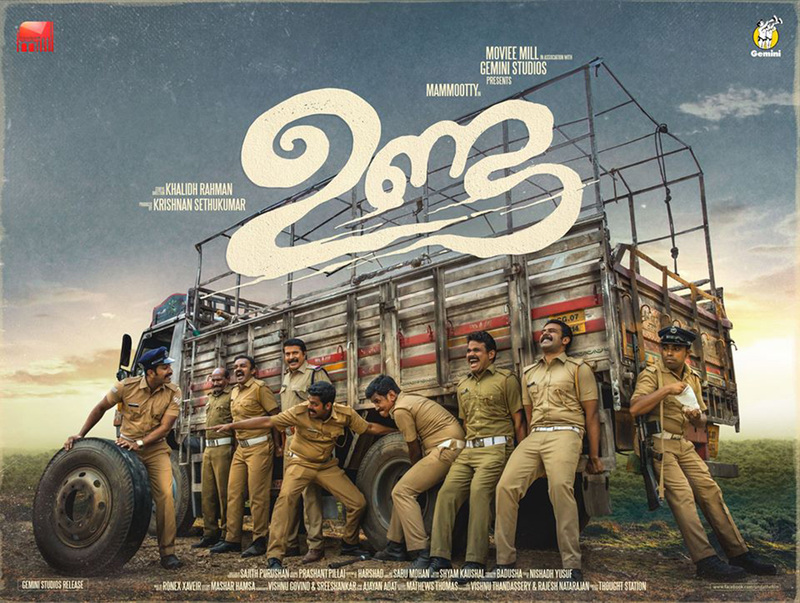 Asif Ali, Arjun Ashokan, Vinay Forrt, Shine Tom Chacko, Kalabhavan Shajohn, Jacob Gregory, Sudhi Koppa, Rony David, Dileesh Pothan and Lukman play supporting roles in the movie. Bollywood actors Omkar Das Manikpuri, Bhagwan Tiwari, Chien Ho Liao are also part of the cast. Sajith Purushan has cranked the camera and music is handled by Prashanth Pillai. Sham Kaushal has choreographed the stunts. Krishnan Sethukumarr is producing the film under the banner of Movie Mill in association with Gemini Studios. The movie is confirmed to hit screens for Eid.